Welcome to the fourth episode of the Building Local Power podcast. In this episode, Chris Mitchell, the director of our Community Broadband Networks initiative, interviews David Morris, the co-founder of the Institute for Local Self-Reliance and the director of the Public Good initiative about the history behind North Dakota’s Non-Partisan League. 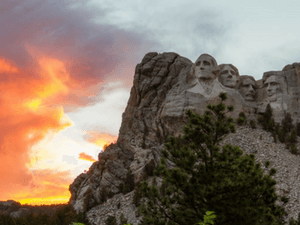 In this podcast, Morris goes into detail on the League’s political influence and how their policies set North Dakota on a trajectory of local ownership and a tradition of fighting concentrated economic power. He also notes that North Dakotans are still fending off challenges from major banks and pharmaceutical chains, and that the tradition of local ownership is strong throughout the state. For more information on the issues that David and Chris discussed, read his piece on the Non-Partisan League: How to Make a Political Revolution, and our report on North Dakota’s independent pharmacy law: North Dakota’s Pharmacy Ownership Law Leads to Better Pharmacy Care. If you missed the first couple episodes of our podcast you can find those conversations with Olivia LaVecchia here, Neil Seldman here, and John Farrell here. Also to see all of our episodes make sure to bookmark our Building Local Power Podcast Homepage. David Morris: This was an investment that they were making. It wasn’t a contribution to the betterment of the world. This was a personal investment. Chris Mitchell: What are you going to have for lunch? David Morris: I don’t know what I’m going to have for lunch. Probably a caesar salad, but I may splurge and have a hamburger, I have to ponder that. Chris Mitchell: Today, I’m excited to be talking to David Morris, the co-founder of the Institute for Local Self-Reliance. The guy who makes us all honest, in the office, otherwise I would be totally dishonest without your presence, I have to admit. Welcome to Building Local Power. David Morris: Thank you, Chris, and thanks for the introduction. Chris Mitchell: No problem. I just wanted to say that for people who are not familiar with the Institute for Local Self-Reliance, it’s almost forty-three years, now. You’re a co-founder of it. I’m Chris Mitchell, I run the internet related work for the Institute. When I started here almost ten years ago, I didn’t really have a sense of what it would be like to work in an environment like this, but I am very impressed with how seriously you take empirical research, and the truth over just ideology. It’s something that I’ve been inspired by. David Morris: Thank you. I believe in evidence based ideology. Chris Mitchell: Right. Today, we’re going to talk, it’s election season. We’re going to talk today about this populist uprising in North Dakota, and the reason that I find it very interesting is not just that it’s led to almost a hundred years of change, and set the tone for North Dakota, but that people don’t really know about it. Stacy Mitchell, one of our colleagues, incredible mind, here, she believes that the reason people aren’t familiar with it is that liberals don’t want to talk about North Dakota, and that conservatives don’t like the reforms, because they involve the government doing good things. That’s why we’re going to talk about it. What is your interest in talking about this? How would you describe it? David Morris: My interest is that it came out of a certain period of American history, which in some ways is being repeated, in some ways it’s not, because it was a hundred and twenty years ago, but nevertheless, it was a time where people were not only concerned about inequality, but were tackling it, people were very concerned of big corporations. People were very concerned about how big corporations in cities were dominating farmers. There were depressions every ten years in the United States, and there were movements, there was the populous movement, which was also a party, there was the peoples party, there were the progressives, and what they were trying to do was to make structural reform. That’s the context, if you will, out of which the North Dakota political revolution happened. Chris Mitchell: I just think it’s worth noting for people who haven’t studied the history, this wasn’t just sort of a secular thing, this was the first time we had corporations on the scale that they were, and I think, right now, we probably have corporations on a scale that we have not seen, the power of a single corporation to enact its will is not unparalleled, perhaps, but it’s near the peak, it seems like. Then, and now. David Morris: That’s exactly right. In the late nineteen century is when your little businesses became industries, your industries became large manufacturing firms, and you large manufacturing firms consolidated into what they call trusts, what a interesting word, so now when we want to break them up we have to call ourselves, antitrust, I ask you, but in the late nineteen century you literally had industries where you had one dominant firm in each industry, and you had state legislatures, which were controlled by the corporations. It was similar to now. Those corporations were smaller in size, certainly, than those in 2016, but their power was probably even greater. Chris Mitchell: Although, as you say that, I have to immediately think you have oil, and then a few decades later you have standard oil controlling all of it. Right? I mean, oil wasn’t out of the ground, hydrocarbon oil, not whale oil, and eventually any standard oil takes over everything. Now, we have the internet, Facebook, and Google kind of have taken over everything. I think as we talk about what happened in North Dakota, it’s important to recognize that some of the things we just take for granted, the power of Google, and Facebook, I think are very analogous to what we saw with, what people are reacting to there. Chris Mitchell: There’s a wonderful house you can tour there, still. David Morris: Yes. A wonderful house. A house where it’s lit by both gas, and electricity, he wasn’t exactly sure what the future was going to bring, and he had his own power plant. Chris Mitchell: He was diversified. Let’s dig into North Dakota. In North Dakota you are wrestling with these issues, where do you want to start with, what they did? David Morris: The initial thing that they did is they came together, the farmers, and they said, “We want to cooperatively owned, what they call a terminal elevator, which is essentially a mill, and a storage facility, and we would drop off you grain, and cooperatives were a big deal in the late nineteen century in rural areas, so they wanted that. In 1913, in North Dakota, they adopted initiative systems, which meant basically if you got enough signatures on a petition you could put something on the ballot, and you could essentially pass a statute. In this case, they did in 1913, 1914, actually they passed an initiative that said we want a grain elevator, but the legislature had to then make that law, their initiative process was enabling, but not determinants, if you will. The next January, January of 1915 the legislature reported back that it would be catastrophe if they did such a thing, that it shouldn’t be done, and it wouldn’t be done. Two months later, two former socialist party candidates decided that they would create a new party. It would be called the nonpartisan league, that is it would not be a political party that had a label, that ran it’s own candidates on the line on the ballot. What it would do is it would endorse anyone who endorsed their program. Their program would be very concrete and very specific. One other factor, that is important, here is that in 1905, North Dakota adopted an open primary system. 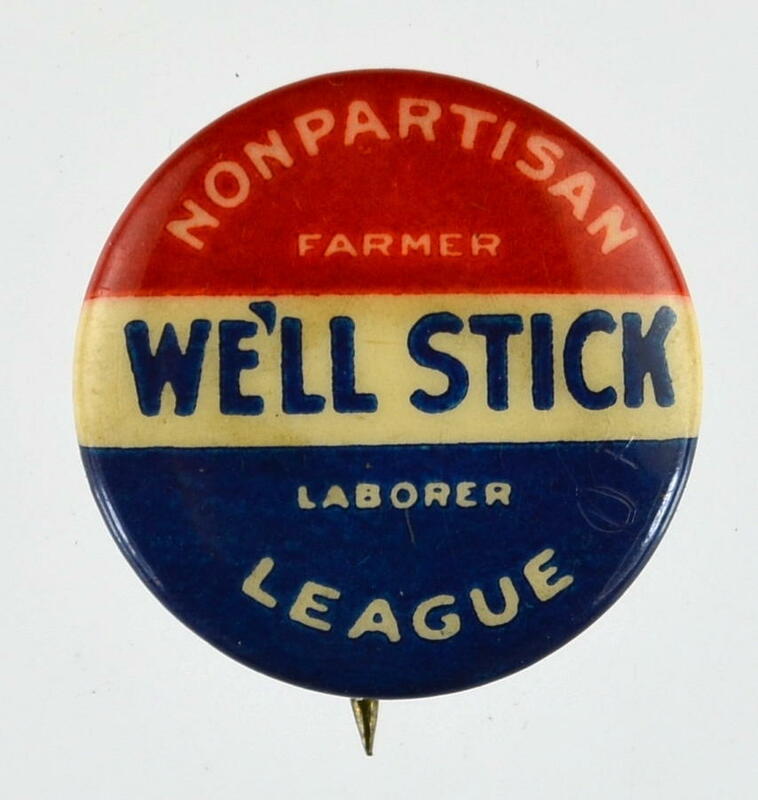 Now, the progressive league had essentially introduced primaries around the country as a way to avoid the backroom deals of political parties. It was a fresh air time to enable democracy, North Dakota went one step further and said there would be an open primary, which essentially meant that anybody could vote in any primary. You didn’t have to be a democrat to vote in the democratic primary, and so forth. The nonpartisan league took advantage of that, and essentially it established it’s first convention in March of 2016, it endorsed candidates who would support their program, and their program was very concrete. It wasn’t a 2016 program, which essentially said, “We will help the small businesses, and we will help the poor, and we will help the this,” very concrete. It said, “We’re going to have a state owned flour mill. We are going to have state owned bank. We are going to have a state owned insurance company.” There were about five or six specific planks, that was March of 2016. Chris Mitchell: Yeah. Let’s just pause for a second. They wanted all this stuff to be state owned, because they didn’t want it to be controlled out of Minneapolis? David Morris: That’s right. They wanted to be able to control it themselves, and they felt that the state would be an enabling mechanism for this. Now, we should understand that they weren’t talking about state monopolies, they were talking about if you want to use 2016 jargon, they were talking about public options. David Morris: In other words, they wanted a state bank, but that didn’t mean that all the banks were going to be eliminated in North Dakota, in fact, when they did get a state bank, it was an enabling bank, it didn’t provide direct loans, it was a partnership bank with the existing small banks in Minnesota. Same thing with the flour mill, not the only one that exists in North Dakota, but they wanted an option, and an option, which would be either owned directly by them, as cooperatives or that would be owned indirectly by them, by the state. Chris Mitchell: I think it’s worth noting. That this public option it’s not just like, and then you have a state owned bank, I think it impacts the entire ecosystem, where then all of the entities that are playing there have to offer better products, better services for the most part. David Morris: Absolutely. I mean, what you do is, it’s not so much that you engender competition into the marketplace as that you engender effective, genuine competition. This is competition by an institution that is owned directly or indirectly by the citizens, and by the customers. This is an institution that’s nonprofit, it’s not profit oriented, this is an institution that has a social mission, but it also has to compete with the private marketplace, if you will. It goes both ways in terms of competition. It’s a very, very effective tool in American history, but North Dakota took that tool, and made it the central part of it’s economy. In March of 1916, the nonpartisan league had, actually, it’s second political convention, it endorsed candidates that embraced it’s program. In June of 2016, they ran in the republican primary and took over, essentially the republican party, which then, as now, has a lock on North Dakota, it is a republican state, the nonpartisan league in November of 1916, literally took over the state, in terms of all state elections. They did not take over the senate, but they took over the house. They then, tried to pass a legislative program, and what they found was what they needed a constitution amendment that would allow the state to participate in business. In other words, they had to, if you want to use 2016 language, again, is that they wanted permission to go socialists. David Morris: They had the votes to do that in the house, but not in the senate, and the next election they won the senate, as well. Winning the senate, as well, they got the Constitutional Amendment passed by initiative that allow the state to participate in business. With that, sort of opening the dam, they got a grain elevator, they got a bank, they actually put ten initiatives on the ballot, all ten won. Now, you have a completely different structure to the economy of North Dakota. Chris Mitchell: Can I ask, and I just have to wonder, what was the rest of the republican party thinking around the country as the republican party in North Dakota is enacting these changes? David Morris: I don’t know what they were thinking, but we need to remember that this was a moment that the populous movement got the income tax passed, the supreme court declared it unconstitutional, this was a moment where people were busy amending the US Constitution, so they could allow that to happen. People were getting direct election of US senators, at this point, by an amendment to the Constitution, there were antitrust legislation that was passed, there was a lot of things going on. David Morris: I don’t think, necessarily that the republican party viewed this in the same way as they would, there was no social media at that time. This was not a moment where I think that they saw this as a political earthquake, however, within North Dakota, they did see it as a political earthquake, and there was a push back, and what they did, among other things, the nonpartisan league was to make it easier to get initiatives on the ballot. To make those initiatives be stronger in terms of their implementation and then they also passed a law that said that initiatives could recall elected officials. They were the first in the country to do such a thing. Chris Mitchell: I’m sensing that this might be an agent of their demise. David Morris: It was the agent of their destruction, actually, because there was an opposition, and it was an opposition that arouse for a number of different reasons that we can talk about, if you are interested, but within two years, 1921, that opposition essentially recalled every official that the nonpartisan league had elected on a statewide basis. Chris Mitchell: Why had the popular tides swung against them? David Morris: One of the things was that they overreached in the sense that they were elected on specific program, and they were beginning to do things that were beyond that program. The second thing is that the price of wheat dropped by 70%, after World War I ended, by 1921, by 70%, so there was a significant dissatisfaction as tends to happen when economies collapse. The third is that when the war ended this thing called the Russian revolution occurred, and therefore the anti Bolshevik, you were communist, and so forth, in fact, the leader of the, the founder of the nonpartisan league, a man named Townley, was actually arrested indited, and tried in Minnesota for preaching sedition, essentially. It was a state anti sedition act, and so the combination of those three things essentially did them in. What was interesting was that, so the opposition took over, and the opposition put, I cannot remember, I believe it was ten items on the ballot for initiatives to essentially overturn, get rid of the bank, I mean so it was essentially to completely strip, and lost every one of them. Not by much, it was close, two thousand vote shift, and the bank of North Dakota would have disappeared, would have been stillborn, essentially. It was still in the process of being created. The point is that the nonpartisan league had done enough good basic organizing, and educating, and doing in terms of enacting, that people, although the didn’t like them personally, for a number of different reasons, they didn’t want that program, that structure to go away. That’s really the most important point, if you will, of the nonpartisan league, because that’s the spirit, the value system, in fact, that continued, that endured. The political structure was gone by 1921, it was essentially gone, the party continued for about ten more years with the movement, the formal movement continued for about ten more years. The sentiment continued, so in 1933, they passed a Constitutional Amendment that prohibited corporations from owning land. Then in 1963, they passed a law, I’m not sure it was a Constitutional Amendment, it might have been, that said that the pharmacies had to be owned by a registered pharmacist, in other words there couldn’t be chain pharmacies. They put that in, and a number of other things that they passed, and now if we want to go fast forward to the current time, there’s been a push back of all of those, and in fact there have been three. First there was two legislative efforts to overturn the pharmacy provision, by Walmart, and Walgreen’s, and the Institute for Local Self-Reliance was involved in that at the legislative level in providing the data that convinced the legislature to not to approve those. Then, Walmart spent nine million dollars to get it on the ballot, and lost by two to one on the ballot, and that was in 2014. Then, last year, there was a major effort to overturn that 1933 prohibition on corporations owning farm land, and that lost, significantly. We still have that value system from a hundred years ago. Chris Mitchell: I think it’s worth making sure people are aware that the resources we put together on the pharmacies, for instance, is all available on our website. I hope people check it out, because for me it’s very fascinating to see that any thought you might have that Walgreen’s, and Walmart bringing economies of scale would lower drug prices, rather than having independently owned pharmacies is not true, and it’s not born out by the data. David Morris: No. It’s not born out by the data, in fact, we did a study, which we submitted to the legislature that compared North Dakota, and South Dakota in terms of pharmacies and found out that North Dakota has many more pharmacies in rural areas. We did a study and compared prices, actually, between the Walmart’s and the family owned pharmacies in North Dakota, and found that they were lower in price. That on any measure that you would use to compare pharmacies, they came out better, and there are of course more pharmacies per capita in North Dakota than there are in South Dakota. It really has been a very, very compelling, they couldn’t get it through the legislature, they lost overwhelming there, and that’s where essentially the peoples representatives are, then they lost on the ballot. The people like it, and it really is a good structure. Similarly, we’ve done studies of the impact of the Bank of North Dakota. Chris Mitchell: This is what I’m really interested in. If the bank had been cancelled out, way back when, how would North Dakota be different? David Morris: When the bank first set up, when it first opened its doors in 1921, the interest rates that were charged to farmers on farm loans, dropped by one-third, it had an immediate impact. Also, the bank of North Dakota in 1930s was not interested in taking over peoples farm land. There were foreclosures because there were private mortgages, but essentially the state was not interested in doing that. If you fast forward to 2016, the Bank of North Dakota, which let’s call it, it is a socialist institution, has enabled the capitalist system to be much more healthy in that the banks sent in North Dakota, and there are more banks in North Dakota, than there are in any other part of the country, and they are family owned banks, 83% of the deposits are in essentially community banks, and they have a return on their assets, which is almost twice that, 50% more than in the big banks. By any measure it has enabled a very healthy economy, significant majority of student loans are given through the bank, and the small business loans are primarily given through the bank. If you look nationwide, and the Institute for Local Self-Reliance has all that data on our website, as well. If you look nationwide, you find that the small business loans are coming from small banks, they’re not coming from big banks, the student loans are coming from small banks, they’re not coming from big banks. What big banks do is to provide the loans that would allow AT&T to decide that it wants to take over Time Warner, and they get involved in international trading, and they picked around the derivatives in the like, but if your small banks that actually do what people thought banks were supposed to do all along. Chris Mitchell: Right. Here, we talk often on my internet program related stuff, about US Internet, here in Minneapolis, financed by local banks to get back to North Dakota and to put a bow around it. I think, also North Dakota did better in the housing crisis, and the most recent recession of 2007 through, however long you want to date it. Is that right? David Morris: That’s right. The Bank of North Dakota has generated, I think, in the last 20 years or less than that a billion dollars in quote profits, which half of it went into the state. In 2007, 2008, North Dakota suffered much less than the rest of the country. Now, there’s a kicker, here, in that with fracking there’s an enormous amount of oil that was discovered in North Dakota, so you have to uncouple that from a nonpartisan league. From the Bank of North Dakota, they have a surplus in their budget, and certainly what has happened in the last six or seven years is essentially more to the fact that they have this enormous revenue coming from oil. However, that is temporary, and already the oil prices have been reduced, there’s less drilling, there’s less pumping than there has been before North Dakota now, I believe, this year, has a deficit and they’re having to deal with the fact that they didn’t plan very well. It’s the nonpartisan league was not in control in North Dakota when the oil came in, let’s just say that. Chris Mitchell: I think as we wrap this up, I think, lessons for today are important, and one of them that I takeaway is this idea of talking to people on concrete issues, rather than abstract notions of capitalism, socialism, or this, or that, it’s kind of like, here’s a solution, it’s a policy solution, it’s a state bank, and here’s what it’s going to do for you, and you said concrete maybe five times in talking about the nonpartisan league. 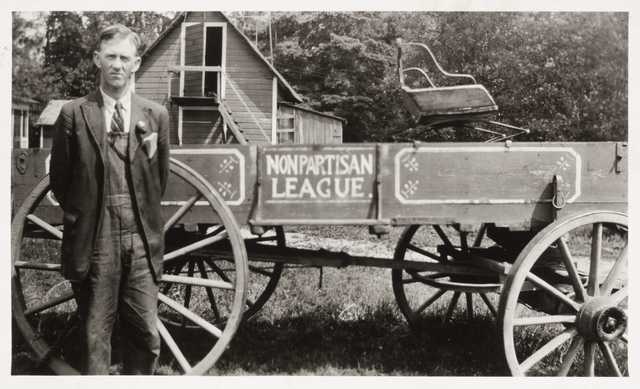 Do you think that the lessons from the nonpartisan league can help us to organize today in a time where we’re perceived to be more partisan than ever? David Morris: Yes. I think, absolutely. I mean one thing that the nonpartisan league did was require membership dues that were very stiff. They were very stiff. They were about two percent of peoples income. David Morris: These were poor farmers, really. Right? Yet, by 1915, very early on forty thousand out of six hundred thousand people in the state were members, so that’s how they got their revenue, and how did they get that revenue? By going to the farmers and looking them in the eye, and saying, “This is an investment, because this is what we’re going to do. We’re going to get you a state owned grain mill, grain and flour mill. As a result you are not going to be having your grain degraded, because it’s owned by a Minneapolis firm. You do not have to pay the truck, the railroad fees to get it to Minneapolis to be turned into flour.” Farmers are smart, they can do that, but on a back of an envelope, they can figure out, so this was an investment that they were making, it wasn’t a contribution to the betterment of the world, this was a personal investment. I think that people can in fact do that, now, in terms of being very concrete. There is some things that we couldn’t do that about, but I think that if we could colorless on sort of half a dozen very concrete institutions, if you will, or laws, or statutes, or policies that we would embrace, we could then go out and we could sell those very specifically, and I think that, that’s important. The other thing that is important is for us to understand how important primaries are. The Tea Party discovered how important primaries were and they took over the republican party not through the open primary process, they literally went into the republican party and took it over at the primary level. 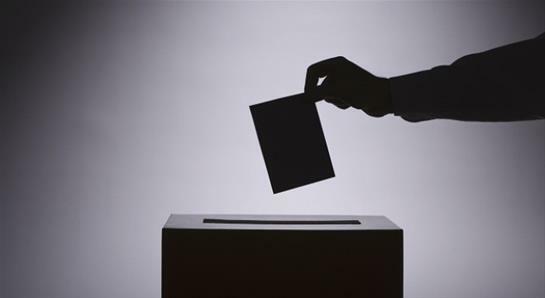 We tend to wait until the general election, but because we wait until the general election, we don’t, sometimes we don’t have a choice that we would like to have, and we never really have a choice about specific planks of a program. Chris Mitchell: Thank you, so much, for coming in, and talking about this. I feel like this isn’t one of those issues that could disappear from history. I hope that we can make sure that, that doesn’t happen, because you might think state bank, some of these issues are kind of yesterday’s issue, but this is the effective organizing that makes a difference. These are the minor changes that can make a difference in a state decade in, decade out. It seems to me. David Morris: Yes. Absolutely. I mean, this is an example of effective organizing that had an impact. There are many examples in American history of effective organizing that had an impact. In fact, there are much more examples of that than there topped down, somebody created a great idea, somewhere in congress, or the white house, and they implemented it. It’s almost always pressure from the grassroots level, that moves us forward. Chris Mitchell: We’ll be talking about more of those in the future, as we continue to build local power. Thank you. David Morris: Thank you, Chris. Lisa Gonzalez : That was David Morris, co-founder of the Institute for Local Self-Reliance, and the man behind the public good initiative. He was visiting with Chris Mitchell for episode number four of our Building Local Power Podcast. Learn more about the nonpartisan league on ilsr.org, by reading David’s article titled, How to Make a Political Revolution. You can also download the 2014 report on North Dakota’s pharmacy ownership law at ilsr.org. Subscribe to this podcast, and all the podcasts in the ilsr podcast family on iTunes, Stitcher, or wherever else you get you podcasts, never miss out on our original research by also subscribing to our monthly newsletter at ilsr.org. Thanks to Dysfunction Al, for the music, license through Creative Comments. The song is Funk Interlude. I’m Lisa Gonzalez, from the Institute for Local Self-Reliance. Thanks, again, for listening to the Building Local Power Podcast.